I went for a run this morning. And there in the park, were a group of dogs out and about for puppy school. They were all running around like crazy – just like the dog above. They were loving the sense of freedom, exuding joy and all round, having fun. I believe that this is what Kinesiology can create for people. Like the dog on the lead, we all conform to what society expects of us. We let out fears, our doubts and others opinions of what is or is not possible to hold us back whether we know it or not. But as soon as that leash is released, life gets fun. Life gets joyful and we find a sense of freedom we secretly longed for because it was there all along, we just didn’t allow ourselves to really feel it. 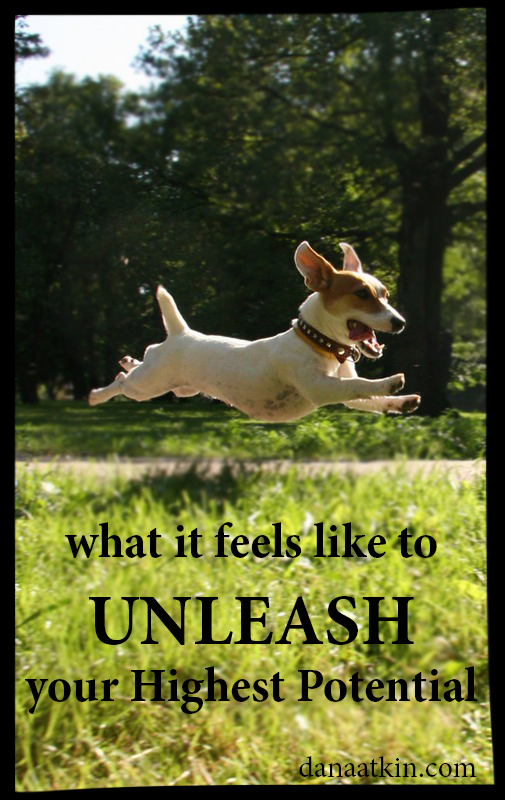 Are you living a life unleashed? I’m in the middle of writing a book about what I believe wholistic wellness is all about. Yes, I’ve spelt it correctly. HOLE-istic wellness – we are whole beings, not empty ones. I know with every fibre of my being that this is what I am here for. To teach on a global scale, what wellness really is beyond the physical and nutritional elements. It’s much deeper than that and it’s so much more expansive than that. ← Eeek.. My First YouTube Video is up!